41.47 Acres of Land with Irrigation Water, Domestic Well, Site Plan Approval, Privacy, Views and Irrigatable land. Access and Transportation to Boulder via Arapahoe Ave. Irrigation water from Enterprise and Cottonwood Ditch. Domestic well water recently installed. Of special note is Site Plan Approval for house and barn, sheds and outbuildings is in place. 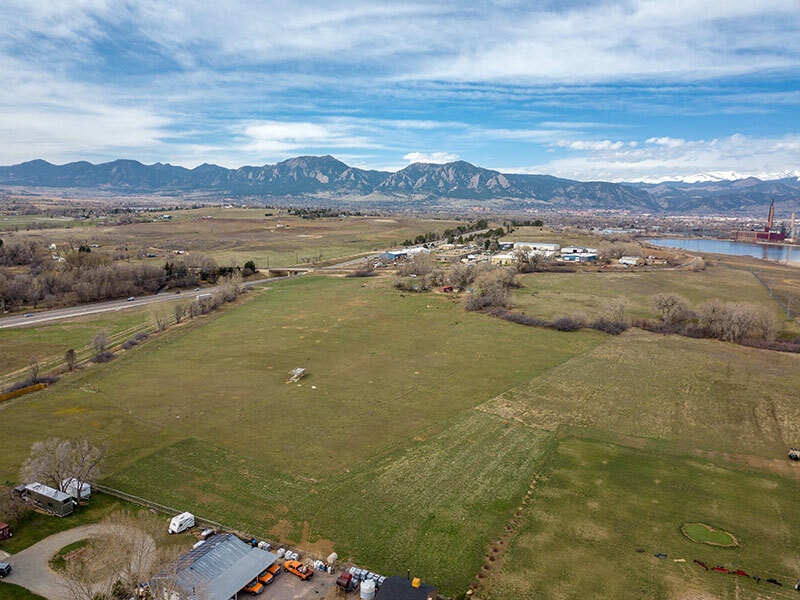 Property enjoys access from Arapaho East or Westbound via Auto, Bus Route, Bike to Boulder on the multi-use bike path along southern edge of property border which connects to the Boulder Creek Trail.